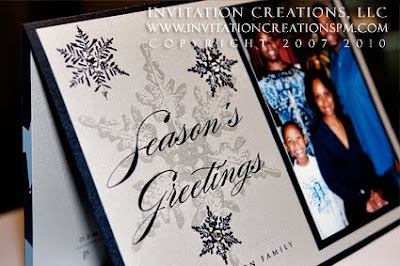 Invitation Creations, LLC Blog: Time to start thinking about your Holiday Cards!! It's that time again! Wow! I can't believe how fast this year has gone by! 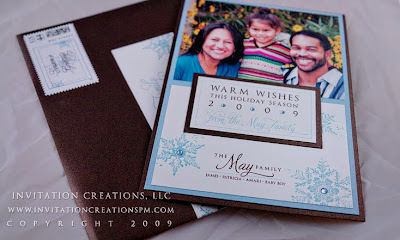 If you send out holiday cards or are thinking of doing so for the first time, consider letting Invitation Creations, LLC create your one-of-kind holiday card this year! If this is your first time, we won't disappoint and your family and friends will look forward to next year's holiday cards! 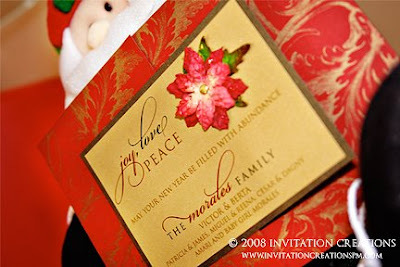 If you have sent the standard holiday cards before, let Invitation Creations do something unique for you. You will wonder why you ever bought cards from the store in the first place. 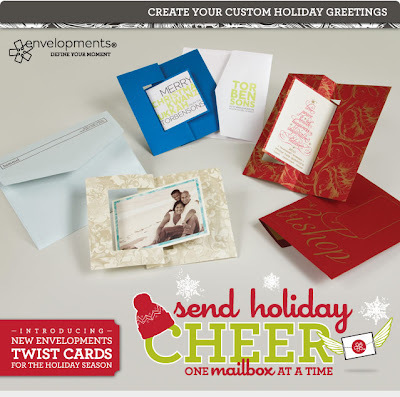 Above is a new product that will only be around for the holiday season. 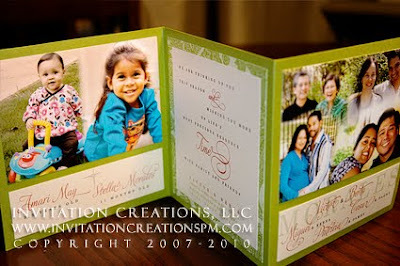 These stand on their own and can have a message on one side and a family photo on the other. There are select colors available. 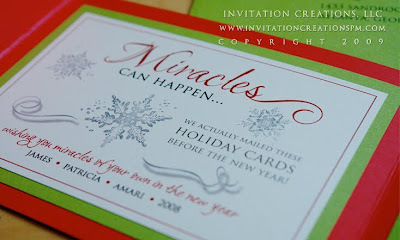 I think these would also be great for save-the-dates, engagements, and graduations! 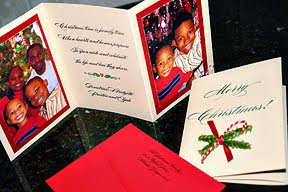 Here are some Christmas cards I have designed in years past. Call us today 404-946-8483 to start designing yours today!We will be taking orders until November 19th without incurring rush fees.